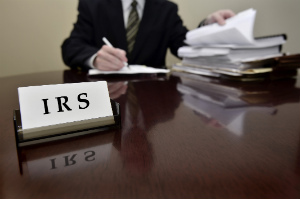 The IRS has issued a private letter ruling explaining the tax treatment of a so-called longevity annuity. A longevity annuity – also sometimes called a “deferred income annuity” (DIA) – is an annuity contract that provides no cash value or death benefits during a deferral period, and begins to make annuitized payments for life at the end of that period, if the annuity owner is still alive. For instance, the contract for a 60-year-old might provide that payments will not begin until age 85, but upon reaching that age payments will be made for life; due to the long deferral period and the accumulation of significant mortality credits, the payments that ultimately begin may be very large relative to the original payment amount. In support of its first conclusion, the IRS notes that insurance companies historically have issued deferred annuity contracts that, like longevity annuities, did not have any cash value during the deferral stage and did not provide any death benefit or refund feature should the annuitant die during this time. Thus, in the IRS’s opinion, survival of the annuitant through the deferral period is not an inappropriate contingency for the vesting of cash value and the application of annuity treatment to the proposed contract. In the usual case, if an annuity is held in a retirement plan, the value of that annuity is included in determining the amount of the account owner’s required minimum distributions. One of the primary benefits of a QLAC is that the IRS’ proposed rules allow the value of the QLAC to be excluded from the account value for purposes of calculating RMDs. Because including the value of a QLAC in determining RMDs could result in the taxpayer being forced to begin annuity payouts earlier than anticipated if the value of his or her other retirement accounts has been depleted, the IRS determined that excluding the value from the RMD calculation furthers the purpose of providing taxpayers with predictable retirement income late in life.